Caught by Howard on October 17, 2012. AÃ‚Â Brown trout weighing over 12 pounds. 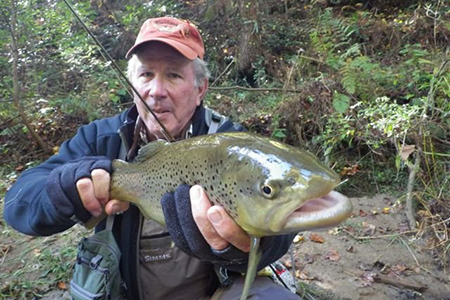 He caught this fish on a Olive hareÃ¢â‚¬â„¢s ear size 14.